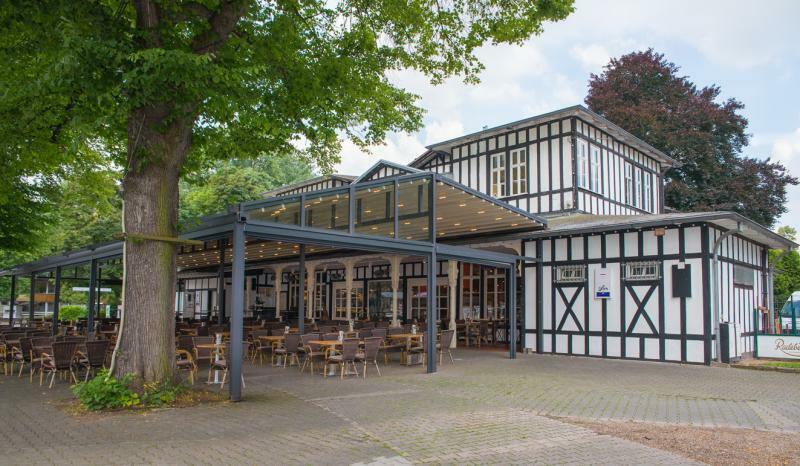 In the green oasis of the Weidenpescher Park stands the more than 100 years old half-timbered house. It used to be used as a jockey scale and almost 25 years ago, with great attention to detail, converted into a beautiful, cozy restaurant. The many photos of the Tattersall, which can be found in the quaint and cozy restaurant, still remind of the old times and the close connection to the horse racing. In the outdoor area, just a few steps away from the racecourse, you can expect an idyllic atmosphere in your own beer garden on hot summer days, which invites you to relax and enjoy. The offer from the kitchen convinces with its variety. Without having too much to offer, everyone will find their perfect meal. Vegetarian, meat, fish or regional, - it will always taste. We especially liked the 350g chop from Iberian Duroc pork straight from the grill with a pickle side dish (for example leaf spinach, green beans, chimichurri, ...).